This group, perhaps a family, is sleeping on the cement at the bus station late at night. 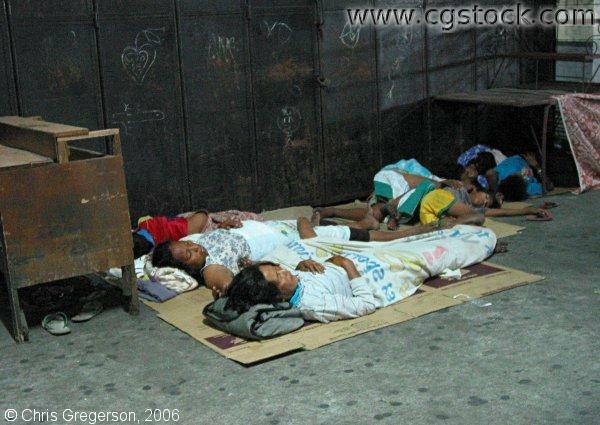 There are still homeless people who sleep in sidewalks in cities like Angeles, Pampanga. It is a fact that poor families with many children are truly exposed to the hazard of living without a home whether in a city or a province.